Assisted Living is a residential option for seniors who want or need help with some of the activities of daily living – things like cooking meals, getting to the bathroom in the middle of the night, keeping house and traveling to appointments. 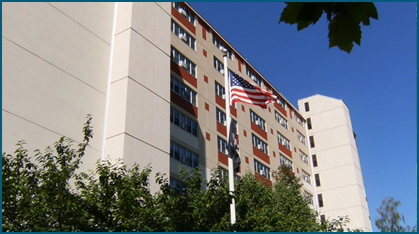 Our assisted living facility offers the safety and security of 24-hour support and access to care. Day or night, help is only a phone call away. However, privacy and independence are encouraged. The staff will develop and personalize a plan that meets your needs and accommodates your disabilities, while giving you the freedom to do what you can for yourself. Our assisted living facility offers you more personal care services than you can get in an independent living environment.